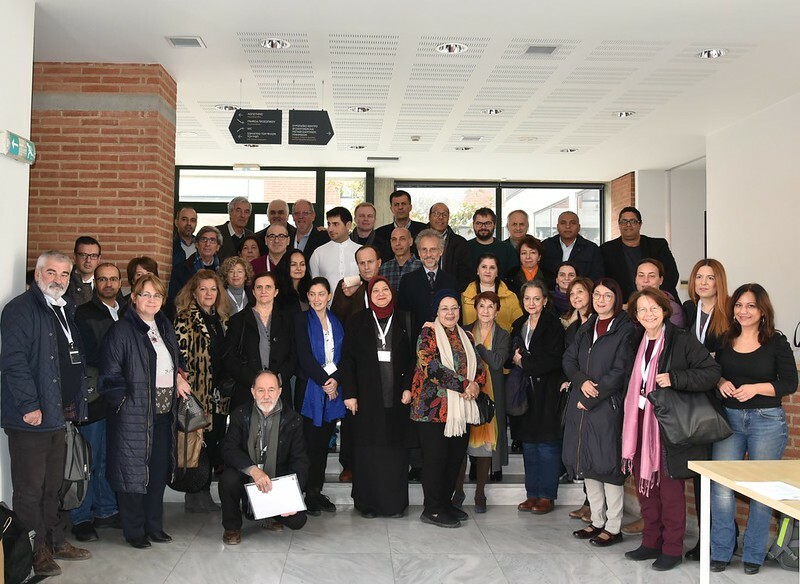 The 4th International Conference ‘Byzantine Monuments and World Heritage’ took place from 30 November to 2 December in Thessaloniki, Greece. The conference, organised by the European Centre for Byzantine and Post-Byzantine Monuments (EKBMM) under the auspices of the Greek National Committee for UNESCO, was the closing event of the European Year of Cultural Heritage 2018 in Greece. 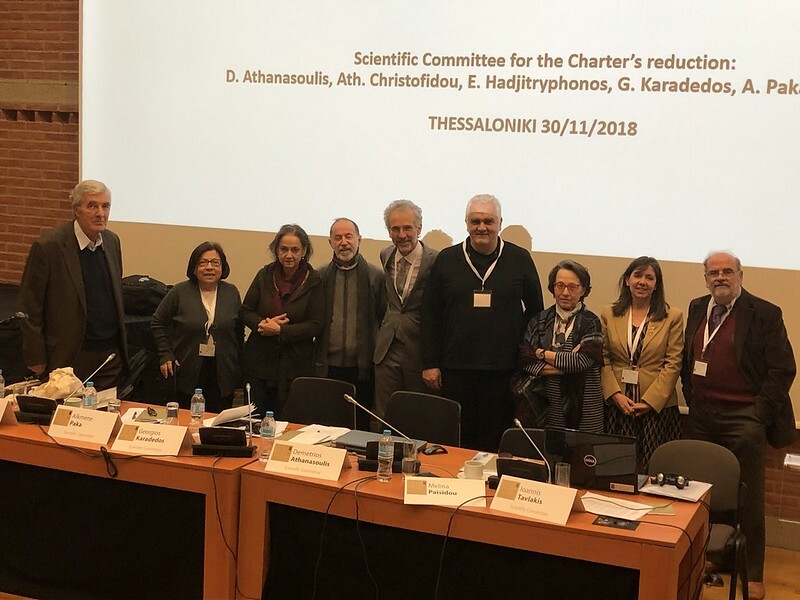 The conference culminated with the presentation of the Thessaloniki Charter for the Protection of Byzantine Monuments, which was endorsed by representatives of 21 States from Europe and the Mediterranean. Europa Nostra contributed to the conference and expressed its strong support for the Thessaloniki Charter. 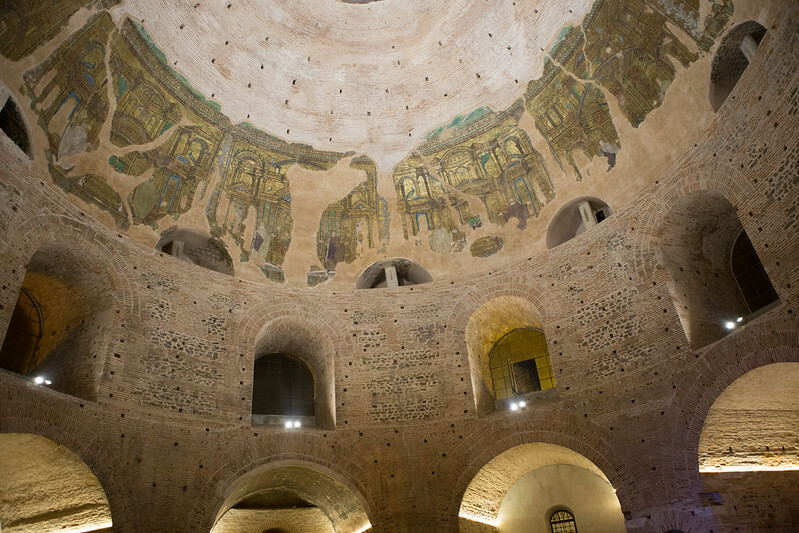 The States’ officials agreed on a framework of commonly accepted principles for the protection of Byzantine monuments for all states that own and manage monuments of the former Byzantine Empire, which spanned 11 centuries and three continents and whose monuments are now spread out among 23 countries. Government officials from Armenia, Georgia, Romania, Bulgaria, Croatia, Serbia, Bosnia and Herzegovina, Albania, Cyprus, Greece, Italy, Spain, Morocco, Algeria, Egypt, Bahrain, Israel, Palestine, Jordan, Lebanon and Syria signed the Thessaloniki Charter. The participation of officials from Tunisia and the former Yugoslav Republic of Macedonia in the conference was cancelled. The lengthy text formulates principles that aim to be a useful scientific tool for countries with Byzantine Heritage (monuments, buildings, sites, architectural ensembles, monastic complexes, residential complexes, fortifications and infrastructure projects, archaeological sites and holy places). The principles encourage the legislation of measures to protect, study, record and incorporate the monuments into contemporary society at national level. Paolo Vitti, Board Member of Europa Nostra, and Ioanna Steriotou, who has for many years been Vice-President of the Scientific Council of Europa Nostra, contributed to the conference. “Europa Nostra firmly supports the Thessaloniki Charter because it will give the tools necessary for a stronger protection of an important part of our shared heritage, with a positive effect on civil society,” stated Paolo Vitti at the opening of the conference. “Europa Nostra is delighted to see that this conference has brought together experts coming from different regions with bold cultural links, well beyond the limits of wider Europe, also embracing some countries of the Greater Eastern Mediterranean Region and North Africa”, he added. Voting on the Charter was the culmination of a lengthy process conducted over four meetings organised by the European Centre of Byzantine and Post-Byzantine Monuments in 2001, 2003, 2006 and 2018. The Charter will now be submitted to UNESCO for endorsement and will remain open for accession by other countries with Byzantine monuments. Among the conference’ keynote speakers was the Director of the World Cultural Center of UNESCO, Isabelle Anatole-Gabriel. One of the highlights of the conference was the lecture on the current condition of Byzantine monuments in Syria by Hammam Saad, Deputy Director of the Department of Archaeological Excavations of the Ministry of Culture of the Arab Republic of Syria. The Minister of Culture and Sports of the Hellenic Republic, Myrsini Zorba, the Mayor of Thessaloniki, Yannis Boutaris, and the President of the Hellenic National Committee for UNESCO, Ekaterini Tzitzikosta, contributed to the closing session of the conference. 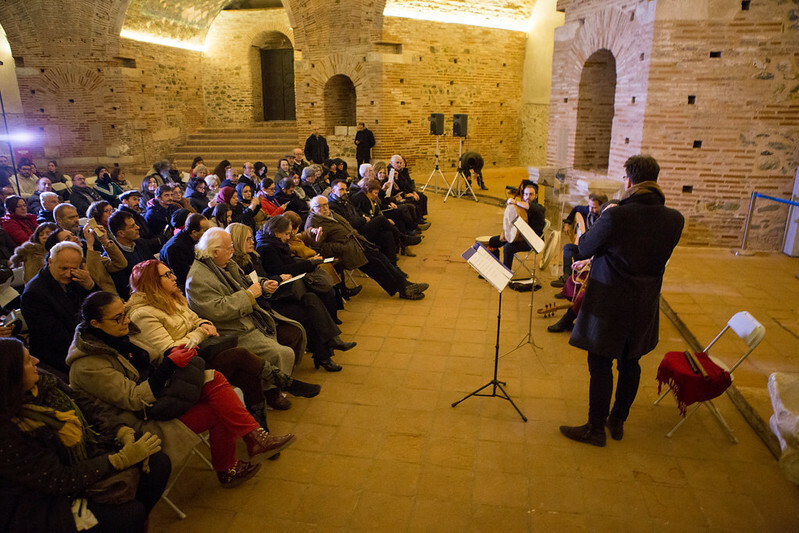 The Charter’s endorsement was celebrated in Rotonda with a concert of Mediterranean traditional music by the early music ensemble Ex Silentio. On the occasion of the conference, a photo exhibition on Byzantine and Post-Byzantine Monuments which received the EU Prize for Cultural Heritage / Europa Nostra Awards between 1978 and 2018 opened on 29 November at the Museum of Byzantine Culture in Thessaloniki. The exhibition was organised by the Thessaloniki Branch of ELLINIKI ETAIRIA – Hellenic Society for the Environment and Cultural Heritage, under the auspices of Europa Nostra, as a contribution to the European Year of Cultural Heritage 2018. Ioanna Steriotou and Paolo Vitti, who were among the members of the organising committee of the exhibition, represented Europa Nostra at the exhibition opening.